A source from Junior NTR's Jai Lava Kusa said: "It's a palace-like structure with lavish interiors. 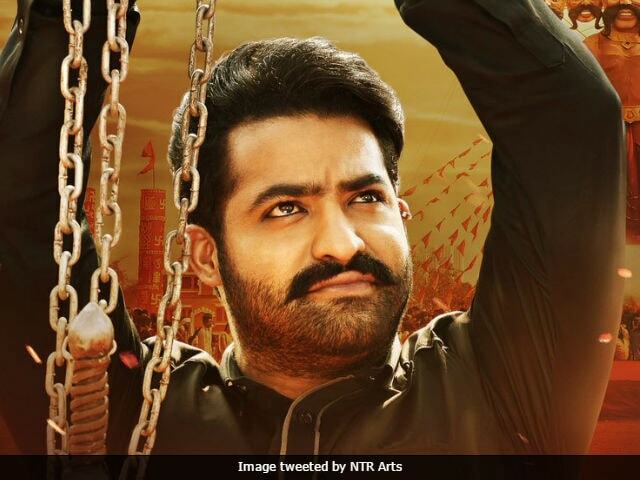 Key portion of the second half will be shot in this set, which is worth over Rs 2 crore"
The makers of Junior NTR's upcoming film Jai Lava Kusa are reportedly constructing a lavish set worth Rs 2 crore in Hyderabad's Ramoji Film City, reports news agency IANS. A major portion of the film's conclusion will be shot in the palatial set-up with lavish interiors, a source told IANS. "The set has been erected in Ramoji Film City. It's a palace-like structure with lavish interiors. Key portion of the second half will be shot in this set, which is worth over Rs 2 crore," a source from the film's unit said. Telugu star Junior NTR plays a triple role in the film, which is directed by Bobby. One of Junior NTR three roles requires him to use prosthetics and his look in the film will be handled by make-up artist Vance Hartwell, who has worked in Hollywood films such as the The Lord of the Rings trilogy and Shutter Island. "Hartwell has been roped in to specially take care of his look for one role. He has been flown down from Los Angeles to take the measurement for a facial mask. This is the first time in his career that NTR will be seen using prosthetic," a source told IANS in an earlier interview. Jai Lava Kusa is produced by Junior NTR's brother Kalyanram and also stars Raashi Khanna and Nivetha Thomas in lead roles. Jai Lava Kusa is expected to release in August.